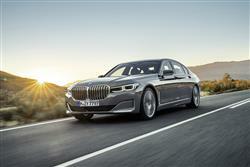 Car and Driving's Independent New Review of the BMW 7 Series Range. 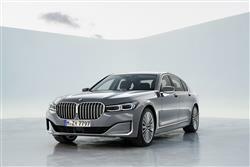 We always thought the sixth generation version of BMW’s 7 Series large luxury saloon was good; this revised version promises to be better. Jonathan Crouch takes a look. BMW’s 7 Series has been with us for well over four decades now, with the first generation car having gone on sale back in 1977. Initially available in one length with a six cylinder engine, a V12 was offered back in 1987 on the second generation car with a long wheel base model available too. As the Nineties became the Naughties, increased environmental concerns saw the introduction of diesels for the UK market as the list of available equipment grew along with the car’s size and weight. 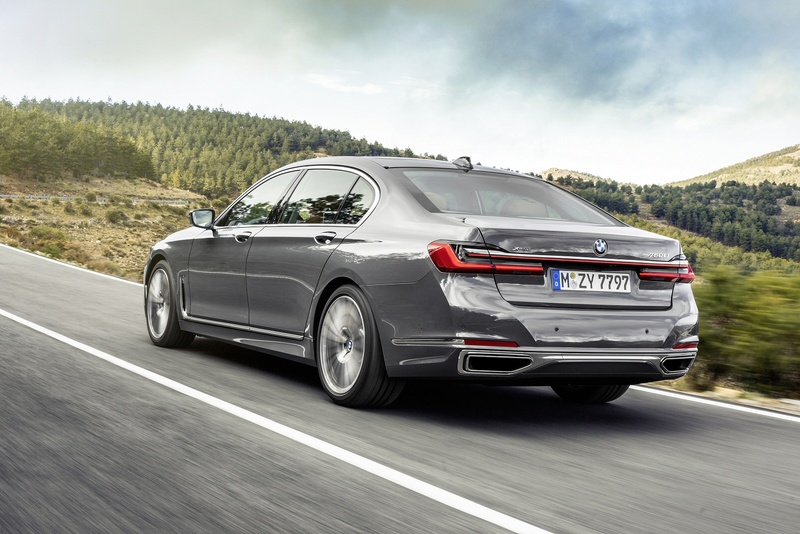 For this updated sixth generation car, BMW knew they had to offer even more on-board gadgetry, connectivity and camera-driven safety kit - and of course that’s exactly what we’ve got. Plus the styling’s been sharpened and there’s a much more competitive petrol Plug-in hybrid option. 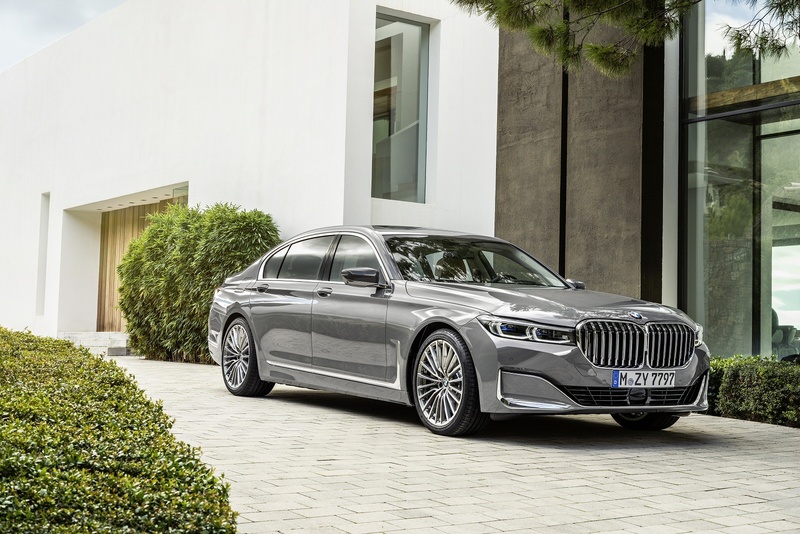 The 7 Series has always sold itself as the driver’s choice in luxury limos and that doesn’t look to be changing any time soon. Even the most sensible (and slowest) six cylinder 730d pumps out 265hp, enough for 0-62mph in a scant 6.1 seconds (which falls to 5.8s if you go for optional xDrive 4WD). This is a far more popular choice than the similarly-price 340hp 740i petrol model. 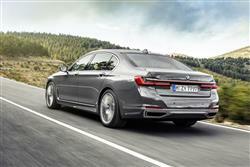 Other less popular engine options in the 7 Series range all come only with xDrive. There’s the 320hp 740d diesel, the 530hp 750i petrol V8 and for real plutocrats, the 585hp M760Li V12. Should you want to be as green as possible - or just escape the London congestion charge - there’s a 745e plug-in hybrid that can travel up to 36 miles on electric power alone. All models receive an eight speed automatic gearbox and air suspension for both front and rear axles that allows you to switch from soft to sporty and the touch of a button. As the ultimate party trick, you can even get out of the car and set it to park itself from your smart phone. Very James Bond. Optional Integral Active Steering allows rear wheel steering to tighten the turning circle and sharpen cornering response. And on most models you can also specify Active Chassis Control to reduce body roll. 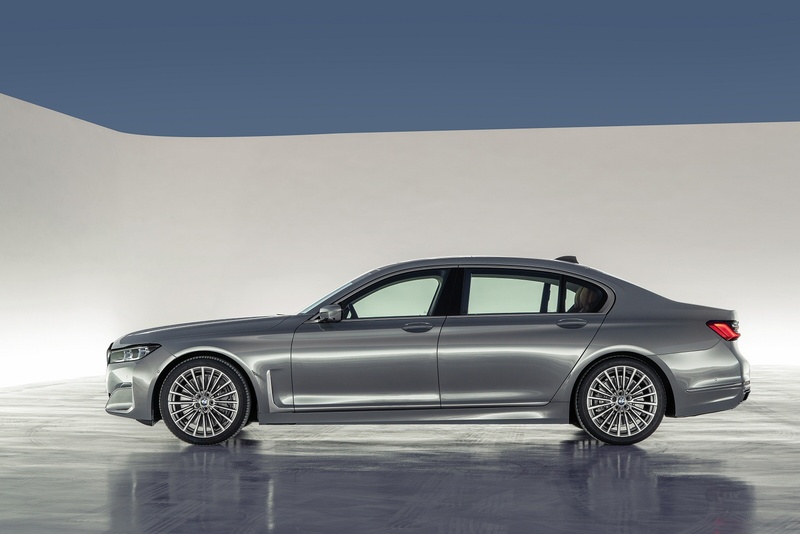 The 7 Series was the first of BMW’s models to employ a ‘carbon core’ body structure blended with aluminium and carbon fibre-reinforced plastic - and that continues with this revised version of the ‘G11’-series generation model. It offers us very much an evolutionary design and much about it is familiar - the long wheelbase and short overhangs, the flowing roofline and the ‘Hofmeister kink’ (the upturned line at the trailing edge of the side window graphic). Look closely though and the enhancements become obvious, most notably at the front end, which is now around 50mm taller at its foremost point. The traditional BMW kidney grille is significantly larger and features active air flap control with adjustable vanes that only open when the need for cooling air is increased. 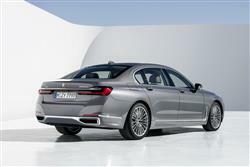 Slimmer three-dimensional rear lights and re-styled 18-21-inch alloy rims complete the key exterior changes. Inside, there’s an all-digital instrument cluster that blends with an enhanced centre-dash screen of the same size. 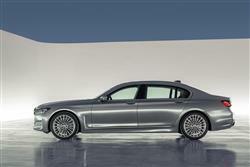 Plus buyers get the latest version of the BMW Touch Command unit. This removable tablet with a 7-inch screen can be used from any seat and even outside the vehicle. 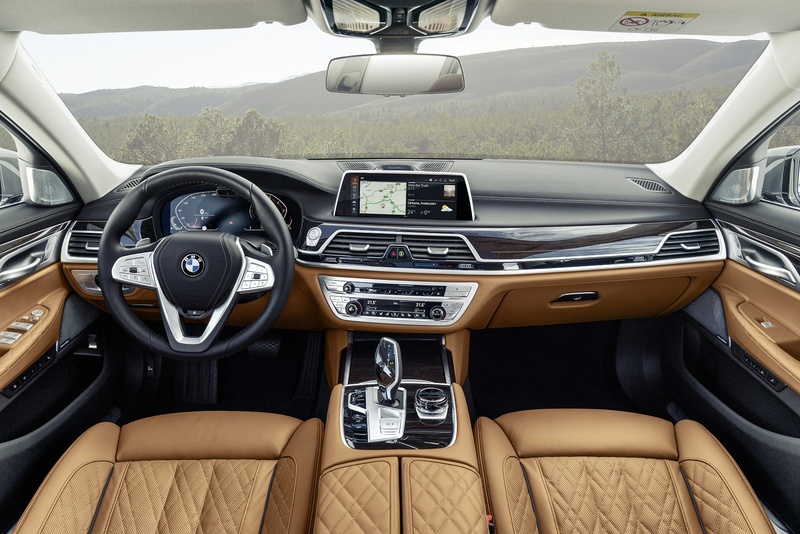 It lets the occupants operate comfort functions such as seat adjustment, interior lighting and climate control, as well as the infotainment, navigation and communication systems. Standard specification includes the BMW Intelligent Personal Assistant - an intelligent, digital helper who responds to the prompt “Hey BMW”. This technology learns routines, habits and preferences to help the driver get the best out of the in-car functionality such as the seat heating or the places they navigate to. Drivers can also give the Personal Assistant a name for even greater individuality and personality. The Assistant is familiar with the vehicle’s functions and is able to operate them as required. Saying “Hey BMW, I’m cold” will prompt the BMW Intelligent Personal Assistant to adjust the temperature inside the car accordingly. Just because you’re spending £70,000 or more on a large luxury saloon doesn’t mean you’ll be paying through the nose to keep it on the road. Let’s look at the WLTP-rated figures. 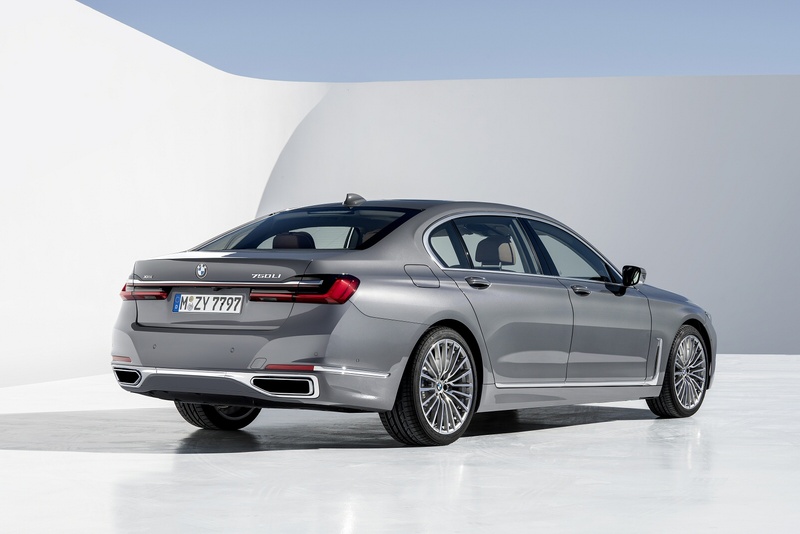 Even the 740i with its turbocharged petrol six is capable of between 31.7 and 34.0mpg on the combined cycle, while emitting 161 to 164g/km of carbon dioxide. 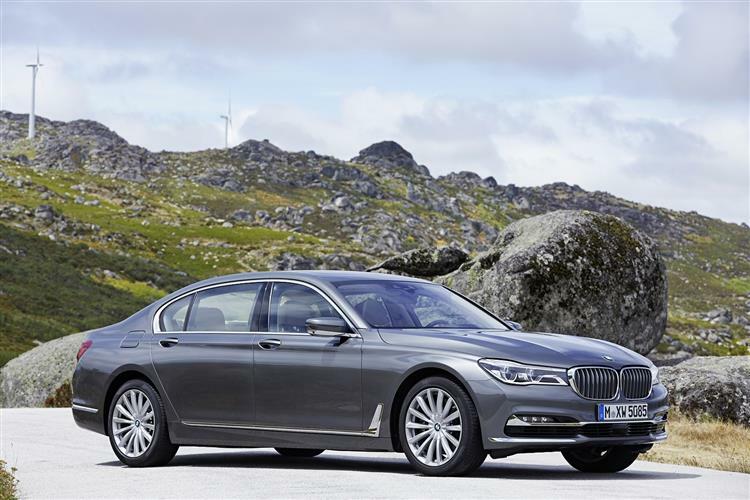 Naturally the mainstream model consumption champion is the diesel 730d which posts figures of 41.5-44.1mpg and CO2 between 138 and 139g/km. 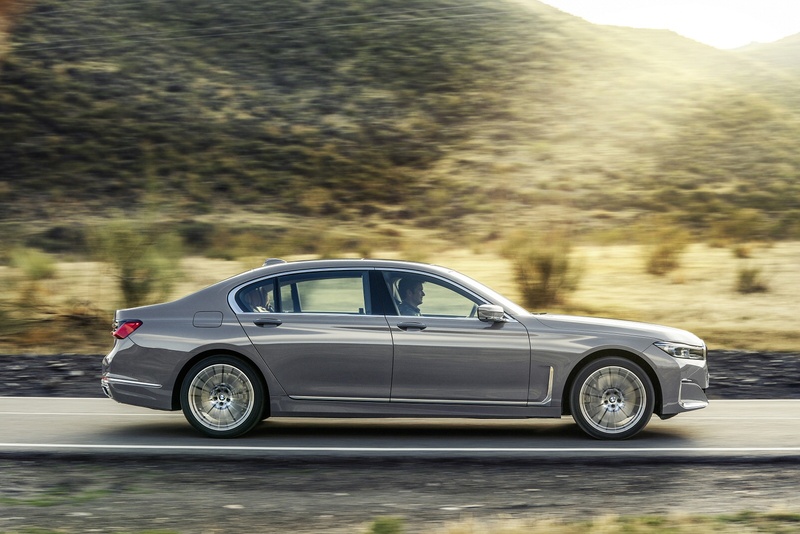 For the 740d xDrive, you’re looking at 38.2-41.5mpg; and 1480149g/km. 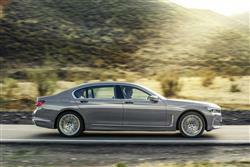 You’ll need deep company pockets to run the top 760Li xDrive petrol V12, rated at 20.8-21.6mpg and 282g/km. A clever choice might be the 745e petrol plug-in hybrid, which offers an electric-only range of between 32 and 36 miles. The speed threshold for all-electric driving has also increased to 68mph. The combined fuel consumption figures for this plug-in hybrid luxury version is between 108.6-134.5mpg. The CO2 emissions produced when burning fuel average between 48 and 52g/km. Across the range, intelligent networking enables the eight-speed Steptronic transmission’s controller to also factor in navigation data when selecting the best shift strategy. As a result unnecessary gear shifts can be eliminated and optimum use can be made of the engine braking effect when approaching a junction. The drive system’s networking with both the navigation system and the cameras and radar sensors likewise serves to maximise the efficiency-enhancing effect of the Auto Start Stop and coasting functions. 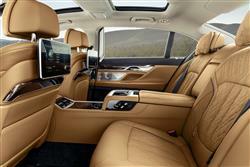 The 7 Series has always offered a slightly different take on the large luxury saloon. 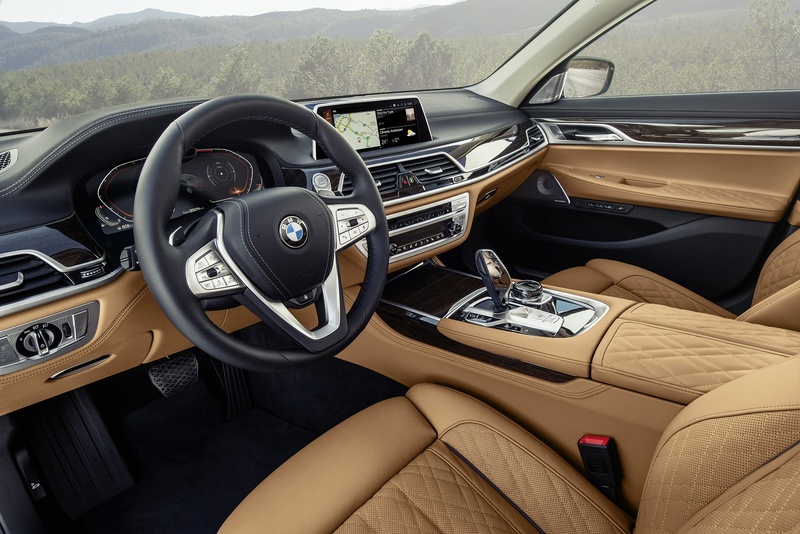 Although other vehicles may arguably offer greater passenger comfort, the big BMW has always made sure its drivers could enjoy themselves should the fancy take them. With this revised MK6 model, BMW look to have improved on this dual personality with extra tech and engineering enhancements like Integral Active Steering and Active Chassis Control. You could argue that this car still doesn’t look quite as special as some of its rivals, but then this is quite a cautious section of the market. It’s also undoubtedly better looking than the previous model, managing to seem both more stately and athletic at the same time. Whether it’s enough to edge out the BMWs arch nemesis the Mercedes S-Class is another question though. You’ll enjoy deciding.